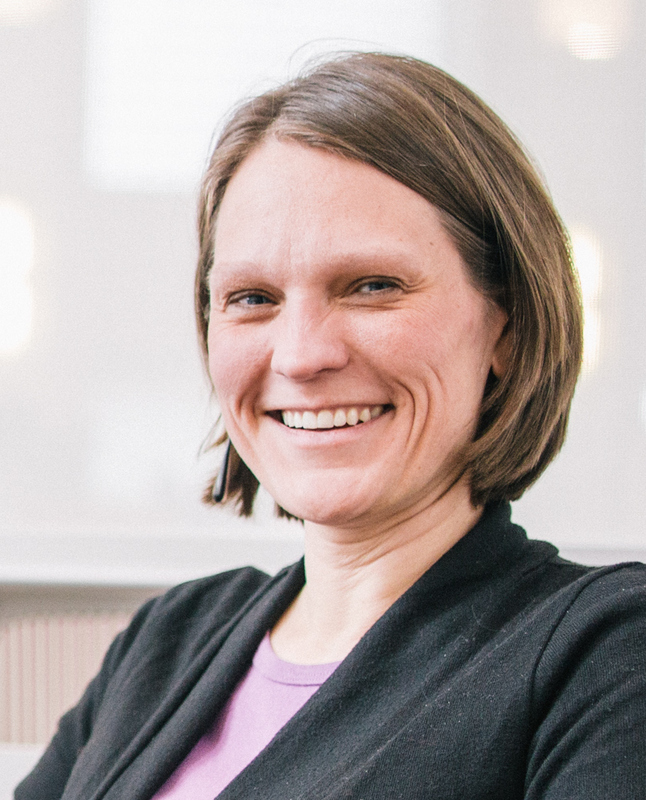 The following interview features Janne Flisrand, network weaver and owner of Flisrand Consulting, a firm in Minneapolis-St. Paul that connects people, places and ideas through smart process. Janne, who has a MA in Anthropology from the University of Memphis, discusses her work in housing, energy and sustainability, and what it’s like to be a consultant. She also talks about the application of anthropology in effecting social change and facilitating connections between people and organizations with common interests. Tell me about your anthropology background and your career path to consulting. I really learned how to be an anthropologist in the urban anthropology program at the University of Memphis. I studied anthropology as an undergrad (along with Scandinavian Studies and an International Studies minor) because I liked the content, but I went back for my masters after working for five years because I wanted to have a better handle on the tools of anthropology. I wanted tools that would help me ensure the voices, interests, and needs of the people my work affected were prioritized. I wanted tools that would help me work on wicked problems. During grad school, I was the program manager for an after school program that highlighted family stability and, in particular, access to affordable housing, which inspired me to go in this direction. My interests and experience between undergrad and grad school pointed me into my domain expertise areas of justice and sustainability, especially affordable housing and transportation in cities. My goal is to make cities work for everyone, especially people with less access to power. Ideally, I want to elevate unheard perspectives to positions of power. Minimally, I can offer my privilege to amplify their voices. I’ve done all my work as a consultant through Flisrand Consulting since 2005. Sometimes I say I’m an accidental consultant, but reflecting on my personality, maybe I was born to be self-employed. When I finished grad school, I networked and did informational interviews to find a job. A few interviews in, someone offered me a small contract gig, and after that, it happened again. Pretty soon, I realized I was making a living at it and enjoying it. I took a year off for a “real” job, but eventually found my way back to consulting. I landed in consulting partly because I didn’t know what I wanted to do or be — I’m interested in so many different things that I can’t bear to choose. Over the last 14 years, I feel like I’ve been exploring my way closer and closer to what I want to do ‘when I grow up,’ enjoying all the learnings along the way. The last couple of years, I’ve started describing myself as a network weaver. Network weaving is the practice of intentionally building effective relationships around a common issue area. In this work, my role is behind the scenes. I’m strategically connecting people with shared interests and providing support. They set the agenda and lead, but I help troubleshoot when they want backup. What is it like to have your own consulting business? I really like the ability to organize my work time where and when it makes sense for me. I can have crazy intense weeks balanced with low-key weeks. Just as important is that being my own boss, if I have complaints, it’s my own problem to change how I work. I’ve been lucky to have one bigger project/client most of the time the last several years, so I’ve been able to take deep ownership of a program and build strong personal relationships with clients. However, I love an extra small project here and there – it keeps my distractibility in check. These days, my big project is a pair of interrelated efforts, Energy Efficiency for All and the Network for Energy, Water, and Health in Affordable Buildings (NEWHAB). My primary responsibility is designing and implementing the network. There are about 18 of us spread across the country, so we spend a lot of time on phone and video calls. I also support NEWHAB development. I work with one administrative support person in the main day-to-day implementation roles. That also includes a lot of travel and outreach to allies all around the country, both in the Energy Efficiency for All states and with those engaged with NEWHAB. I love connecting with those people! I also have an office in a co-working space, and I share a permanent “campsite” with two other independent consultants. I chose to work with them intentionally, and we often help one another think through the challenges of work the way most people do with co-workers. Day to day, I do a lot of synthesizing of information and translating it into proposals or information for my teammates. Recently, I was translating results from a social network analysis/survey project for NEWHAB into something more digestible for the team guiding the network design. Their task was to make decisions about what we should work on, how we talk about our network, and what membership looks like. Using the social network analysis results and their project goals, I facilitated a two-day retreat where we hashed through that content. Now I am turning those conversations into a plan and a membership description they will review and approve. In general, I invest a lot of time in relationship-building, from helping others out with their challenges and drafting communications to team members and network members, to sending out thank you notes. To be honest, my work involves a lot of e-mail, phone calls, conference calls and video calls for relationship building and project management. Much of it is interesting, but that’s often dwarfed by scheduling meetings, checking on the status of contracts, nudging people to complete tasks, ordering lunch for workshops, tracking down meeting locations, and sending out logistics. Because a lot of it is one-offs, I haven’t figured out how to delegate a lot of the tedious part of what I do. How do you apply anthropology (theory, skills, perspectives, etc.) in your job? How has your notion of applying anthropology changed over the years? I think less and less about this as time goes on. The approach that seems most relevant to me is “brokering.” I work at the intersection of many different professions or communities who often struggle to communicate with one another. My role is often one of translating or creating spaces where they can have conversations that build mutual understanding of where the other is coming from. Maybe I’m quietly proselytizing cultural relativity, but I’m working with cultures of engineers, elected officials, renters, landlords, advocates, transit riders, and neighborhood associations, among others. My ability to step back and do my best to observe and keep my own perspective at bay is something I invoke every day. Listening deeply and asking questions without assuming the answers or judging is the most important tool I have in building relationships. I don’t pretend I am judgment-free or objective, but the more I can really listen the less this matters. What were the most useful skills you learned in your training? Many of the methods covered in classes at the University of Memphis have been useful to me. I don’t do any one thing often enough to be an expert at it, but my grounding in a variety of tools was strong enough that I can avoid most mistakes. I pull my methods book out every year or so looking for tools to fit new settings. The goal of understanding and being able to describe another’s perspective, non-judgmentally, and practicing this, is key to my daily work. How did you become interested in urbanism, housing and network weaving? I’ve always been interested in how people interact with the built environment around them. Why do we choose to walk on one side of the street rather than the other side? Why do we choose to drive or bike or take the bus or walk? Why do we pick up litter or leave it there? Why do we speak up or stay silent when we see someone being harassed? I think that comes from personally reflecting on my own choices as I look at differences in the places I’ve lived. I also see those choices as directly tied to other things I care about deeply — equity, clean water, neighborhood safety, and access to basic human needs like food and housing. The interest in network weaving is something that’s emerged more recently — or maybe something I found a name for more recently. The issues I’m interested in are very complex. They are affected by a host of factors, and networks and systems approaches are the only approach to wicked problems that hold much hope for better outcomes. I think I’ve always had an intuitive systems approach, and in the last several years I’ve connected with a community trying to be more intentional about sharing what is most effective in working within complexity. Do you have any favorite research projects, subjects, courses, or experiences from your time as an anthropology student? I was a graduate assistant to the late Dr. Ginger Baber my first semester, and she had me develop an annotated list of historic ethnic policies in the United States. No one policy surprised me, but the totality of writing up 11 pages of race-based policies in 10 point font covering 210 years sticks with me. As a graduate assistant to Dr. Stan Hyland, I provided coordination support to a Memphis Housing Authority stakeholder task force transformation process. That taught me a lot about the kinds of interests, voices and powers that need to be engaged in any sort of attempt to change existing systems. I manage those same sort of processes today. What can anthropology training programs do better to prepare students for the working world? I’ve long been frustrated at the larger field of anthropology for doing such a poor job of explaining to the world its relevancy to day-to-day work. Professors aren’t even good at explaining it to their own students! While the glut of PhDs has recently forced some reflection on how to help graduates find employment, there’s a long way to go before anthropology has done it’s job explaining why it’s a good idea to hire anthropologists. I hope that those of us in the field can acknowledge our identity publicly as one way of helping our employers realize it benefits them. I also hope that the field as a whole will also think about language in the same way people advocating for transportation choices have thought about it. Programs have a responsibility to help students adopt more effective, “smart language” to communicate the value of anthropological skills. I don’t talk about being an anthropologist, but instead explain I’m a person who can provide “X” value to a client. Instead of saying, “I have experience in participant observation and can do ethnography,” I talk about the value of those skills to the organization or audience. For me, that’s the value I provide in understanding partner or client perspectives so we can find win-win solutions. I’d love it if anthropology training programs had sessions where students practiced this, highlighting the relevance of their training to the world of work. Hopefully that would also include some exposure to the diversity of anthropological applications that are possible. The University of Memphis has a great model. For decades, they have focused on building a community of anthropologists embedded in applied positions throughout the Mid-South, and link those graduates to current students through internship programs. It’s a model I’d strongly recommend other departments adopt — as a matter of fact, when I was looking at graduate school programs, I dropped one program from consideration because of the lack of support for students. What advice do you have for current anthropology students for marketing their skills to prospective employers? The more you know about what you need in a workplace and your work, the better. That might be identifying an industry you want to be in — although in my case, it’s half about knowing the working conditions where I thrive, and half about finding work that is meaningful to me. Knowing this allows you to be smart in where and how you look for work, and to decide whether opportunities are good enough to take, despite the flaws. And all workplaces have flaws! The other piece is to listen carefully for what your potential employer (or client) is looking for. It might come down to thinking of a potential employer as a culture you are studying — if you are going to effectively communicate with them, you need to understand how they look at the world. You need to explain how what you offer is what they’re looking for. Keep your ears open for what they need that they might not even realize — and help them out by gently showing them how what you offer will help them. Show them they need you! To find out more about Janne and her work, visit her website and follow her on Twitter.